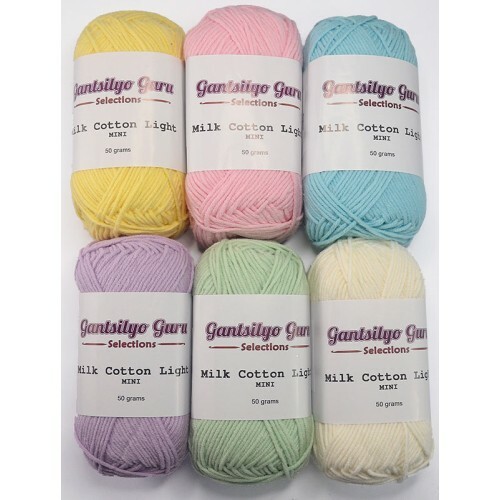 Have fun with our Milk Cotton Light Mini Color Palettes! 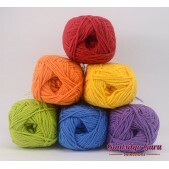 Each palette has its own colorful personality and contains 6 skeins of Milk Cotton Light Mini. 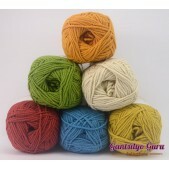 This is great for any project that asks for several colors - like amigurumi, accessories, mandalas, and a whole lot more! 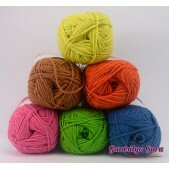 These can also be used for other fiber or string crafts. 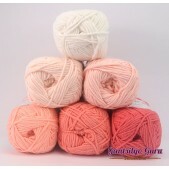 Milk Cotton yarn has the best of both worlds. 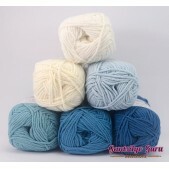 It is 80% cotton and 20% acrylic (milk fiber). It has the lightweight of acrylic and the absorbency of cotton. 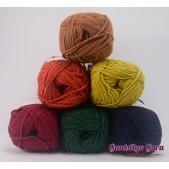 This is the yarn you want for just about anything - amigurumi, beanies, scarves/cowls, afghans, bedspreads, home decor, accessories, baby apparel, and a whole lot more! Actual color may vary from uploaded image due to lighting and/or screen color calibration.